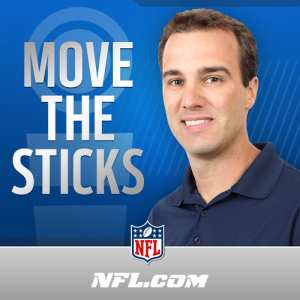 These first three are put out by NFL Network employees which ensures high quality audio (and some video) and means they are mostly kid-friendly. This comes at the expense of not being as critical or unbiased as an independent podcast. They are all worth a listen and are able to host a bevy of NFL players, current and former, and are often done as a conversation between multiple hosts. They are also ad free. Dave is a radio personality originating from Pittsburgh bringing you his unique schtick of charisma and comedy. Dave doesn’t shy away from his Steeler Homerism, but doesn’t let it get in the way of a really quality show. He’s also one of the older hosts, being in his 40s, so has a perspective you don’t find often on a podcast circuit dominated by millennials. This is a round table discussion with a handful of various writers from NFL.com. If you are an avid reader you would recognize the names, and this show allows you to put a voice to the words. They do a good job of offering differing opinions and hashing out their debates through odd wagers, or sometimes just a good old fashioned argument. This is the only podcast of its kind that I can find. It’s hosted by former NFL scout Daniel Jeremiah and does a wonderful job of bringing a scout’s perspective to the discussion. He often has a co-host, Bucky Brooks, who is a former player and scout as well. This is a must-listen podcast leading up to the draft; his take on college prospects are eye opening and educational. Not to take away from his views on current players and teams, he has first hand experience and uses his contacts with current General Managers and coaches to bring you insight that would be hard for a media personality to. The next couple are hosted by former NFL players which are no longer affiliated with the league which allows them more freedom to be critical. These will have some commercial reads during them, and while they are obviously trying to shoehorn them in, it shouldn’t deter you. 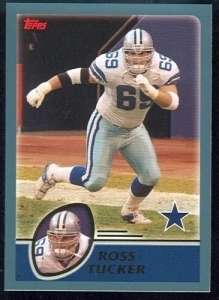 Ross Tucker was a journeyman offensive lineman for 7 years in the league. While what he brings to the table is of high quality, I think what makes his podcast a must listen to are the guests he has each week. Two mainstays are Andrew Brandt, lawyer and ex front office executive for the Green Bay Packers, and Greg Cosell, son of Howard and all-round film junkie. Brandt is the perfect guy to explain signings, salary cap, suspensions and appeals, while Cosell breaks down the X’s and O’s of the game and player traits. He also uses his connections from playing in the league and being in the media to get a wide mix of guests on that vary from week to week. He also hosts several other podcasts which he will mention often in case you find yourself wanting even more podcasts than this article covers. 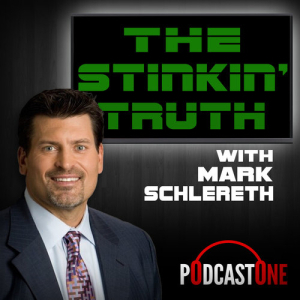 The host, Mark Schlereth, was an entrenched starter in the league for over a decade and has 3 Superbowl rings to prove it. He’s more irreverent than the others and lets his fiery personality come through. It’s a relatively new podcast, starting in July of this year, so he’s still finding his footing but so far has been a good listen. He makes it a point to cover any of the current events and is booking guests as well. A few extras that are talk radio sports shows that go for a few hours in the morning that I find myself listening to often are the Dan Patrick Show, Rich Eisen Show, and Jay Mohr on Fox Sports. They break themselves up into hour long podcasts, so you can get multiple in a day. These are for all sports, and although they do offer a ton of NFL coverage, it won’t be all that’s discussed. These are great ways to fill in the gaps when you are waiting on a strictly NFL podcast to come up, or if you are someone that is lucky enough to listen to podcasts for hours on end at work. Follow me @DrunkishDroog for interests in sports, gaming and beer!